In case you didn't know, Floyd Mayweather is fighting Victor Ortiz this September. In the months leading up to Mayweather's announcement, we heard numerous rumors from all different directions and couldn't separate the ridiculous from the plausible, but a proposed bout with former Lightweight champion Paul Spadafora was the only one that was a mix of both. The 36-year-old Spadafora has made a quiet comeback since being released from prison after a stint for attempted murder. His claim to fame wasn't the title defenses he made at Lightweight, but instead an infamous sparring session where he seemed to have gotten the better of Mayweather almost 11 years ago. Truth be told, a fight being made from just a sparring session is pretty lame as far as storylines go. If that were the case, then maybe Danny Green should attempt to face off against James Toney in the ring to avenge the savage beating that Toney laid on him. Or perhaps Julio Cesar Chavez Jr, should target stablemate Vanes Martirosyan for beating him like he owed him some money. None of us will ever really know how close Mayweather-Spadafora actually came to being made and unless Mayweather himself addresses the matter, we probably never will. That being said, I was personally told a number of details that lead me to believe that the fight was a very real possibility. From what I heard on my side of the fence, there was a date, a gag order, and a contract ready for Spadafora, but cold calls followed, then desperation followed, and ultimately, the realization that the multi-million dollar payday would not come. Instead of attempting to voice his case, or even generate any kind of interest, Spadafora said nothing and did nothing, and even as of right now, is still waiting for a fight. Hall of Fame trainer and good friend Jesse Reid told me on several occasions that Spadafora has had to put his career on hold for the faint chance that Mayweather would seal the deal, but even since the announcement of Mayweather-Ortiz, Reid still doesn't know what Spadafora is going to do next. "If it were up to me, I'd get him in the ring with [Timothy] Bradley or [Amir] Khan, but his promoters are running the show," affirmed Reid, who is also clearly frustrated with how something too good to be true certainly was. Since Spadafora returned in 2006, he has won seven fights at around 140-147 pounds, mostly against suspect opposition, but is unranked by all the major sanctioning bodies. Even though the Mayweather fight fell through, Spadafora's name was more on the minds of fight fans now than it ever had been when he was a champion. The time was now to get out there and make an opportunity happen as opposed to waiting for one. Unfortunately, there would be no lemonade from these series of events; only silence. I'm not Spadafora's PR agent, but I can tell you that while he isn't going to fight Mayweather, Bradley or Khan, he has the chance still to go out there and make a fight happen. Does anybody really remember the exploits of Antonio Margarito's career BEFORE he started calling out Mayweather? Or did the casual fan go out and say Mayweather was dodging him because Margarito took every possible chance in front of a microphone to say how he wants to fight him? 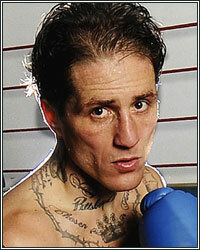 There is still time for an old horse like Spadafora to get out there and make the money he hoped to make when he was a champion almost eight years ago, but sometimes things don't always come to those who wait, and in the game of boxing, those who take opportunity and make their own destiny seem much better off than simply hoping. He won't get challenged by Mayweather, but I am challenging Spadafora to come on out and tell his story because I know he has one, and maybe, just maybe he can ignite that spark of curiosity that brought his name back into the mainstream in the first place.